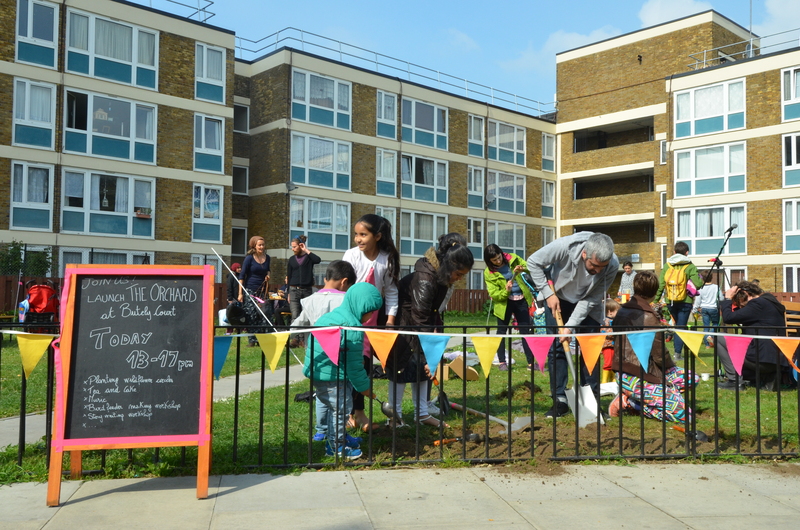 Last weekend saw the launch of the Butley Court Community Orchard. 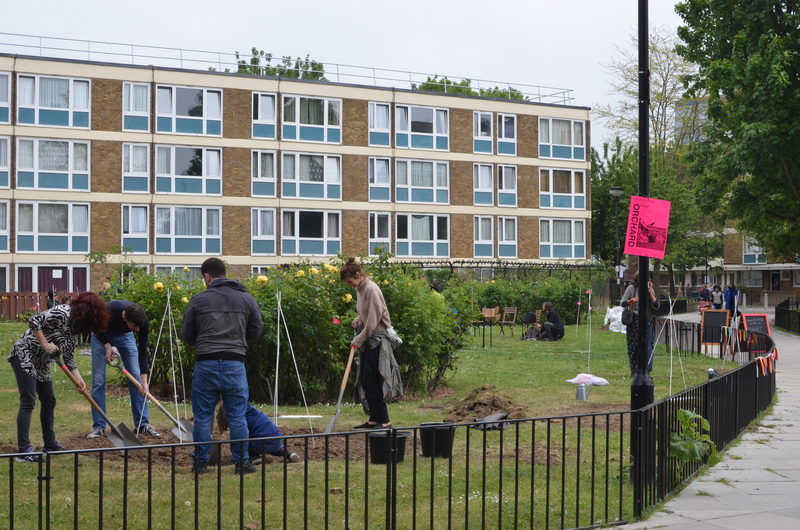 Local residents from the Old Ford Estate came together to lift turf and sow wildflower seeds, kicking off the first stage of planting for the community orchard. 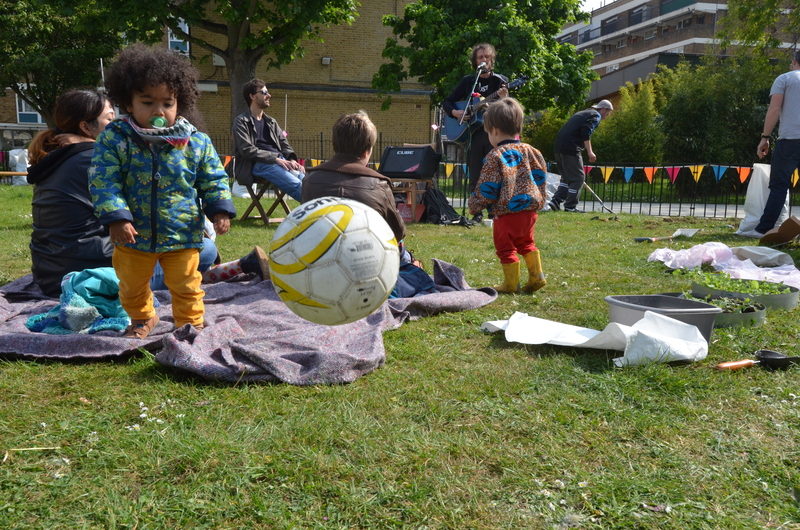 Thanks to a dry afternoon with bursts of sun, music from Markus Michelucc and a plethora of cakes baked by local residents, five new circular beds were created. These beds echo the existing circular rose beds. They have been planted with a mixture of wild flowers, donated by Grow Wild, designed to attract more urban wildlife to the estate. 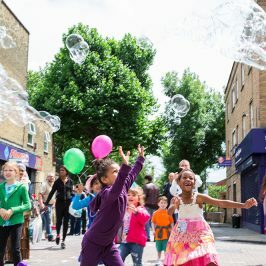 There were activities for children, with a nature hunt, bird feeder making, and a storytelling workshop about the animals which live in an urban apple tree. The adjacent adventure playground donated seedlings brought on in their greenhouse, which they potted up for local residents to take away. They also very kindly let us use their hose and tap to water the seeds at the end of the day. A £10,000 grant from ‘Awards for All’ will fund further workshops, over the next couple of months, to plant more flowers during the summer, the orchard in the Autumn and support the creation of a local group to care for the garden once the project is completed. The funding was secured by the Roman Road Trust, in partnership with Public Works, in December 2016 and will run until December 2017, when orchard will be planted and community gardening group established. The project is supported by the InterAct Hub, another Public Works project on the Roman Road. The application was made in response to feedback from local residents, to better use the large areas of green space within the post war estate. 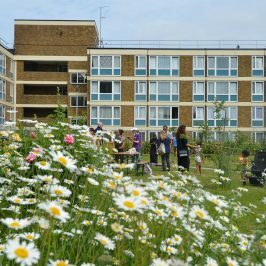 The Project was designed to celebrate the public green spaces within the Old Ford Estate, through community gardening and series of events. 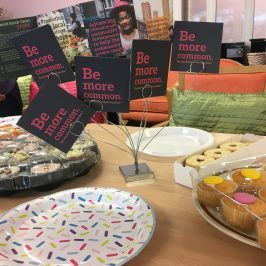 Butley Court sits in the heart of the Old Ford Estate between two low-rise blocks, which provide housing for the over 60’s; the project will also create a space for these older residents to use. 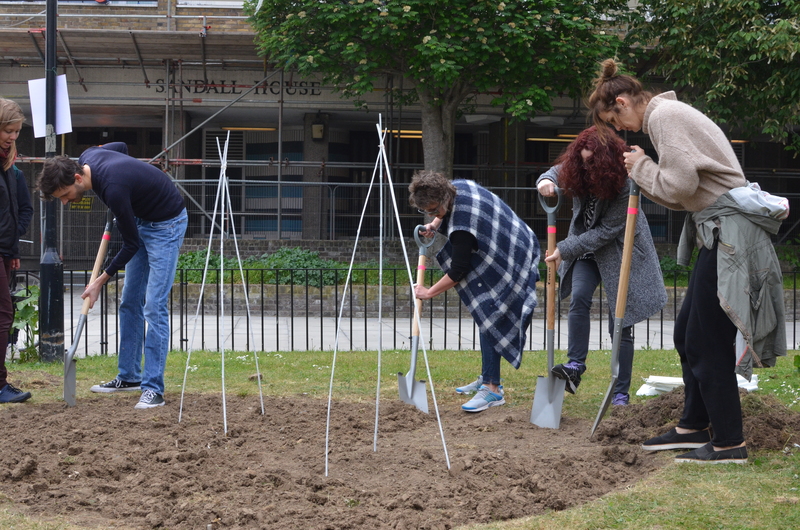 Once completed, Butley Court Orchard will provide free fruit for the local residents and an outdoor space to garden. The orchard will grow traditional fruit, such as apples, pears and quince, as well as some more unusual crops such as walnuts, hawthorn, medlars and elderflower, with low level soft fruits such as blackberries and loganberries. The trees will be planted in a circle, creating an event space for the community’s use through the summer months. 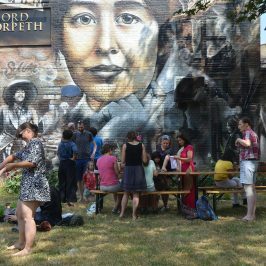 The Community Orchard is looking for volunteers to help with anything from planting to planning small events on the space. 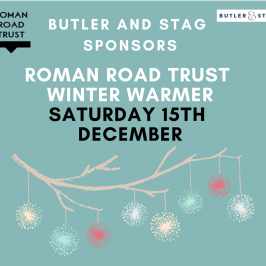 Please contact hello@romanroadtrust.co.uk.